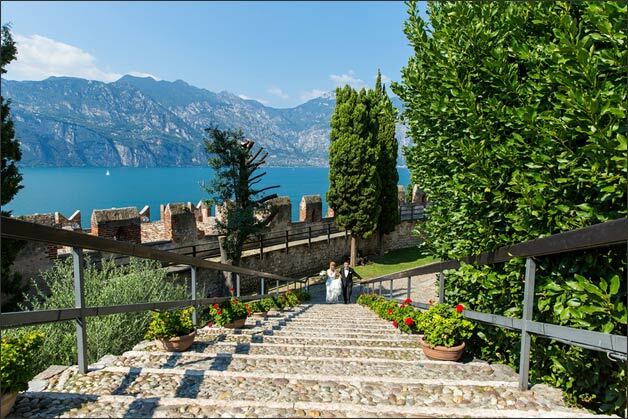 Scaligeri Castle in Malcesine is a very charming wedding venue. 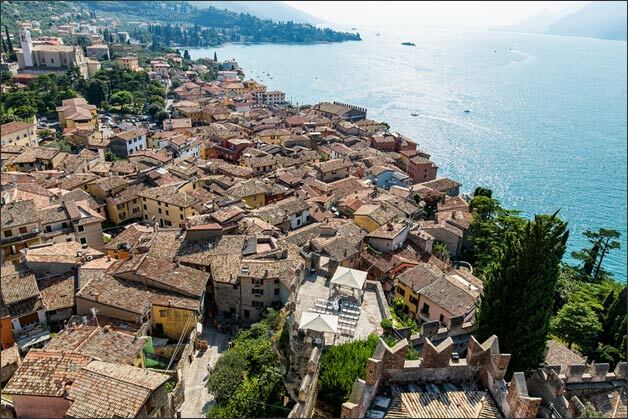 It is famous for its heritage and for the beauty of its breathtaking views over Lake Garda. But I can say that Christian and Laura’s wedding made me love this venue more than ever! I met Christian and Laura one year prior to their wedding. 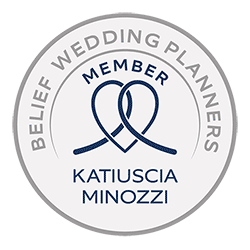 We shared ideas, tips and solutions for their special wedding day. White and green were main colors of their flowers arrangements and sweetness was the essence of their souls. 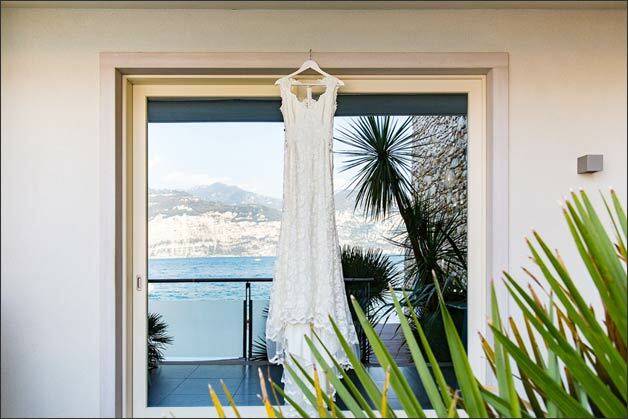 Laura and her bridesmaids chose a hotel in the centre of Malcesine for their getting ready. The atmosphere was relaxed and thanks to fantastic lake view, they could have fantastic photos in natural colors. After getting ready, a nice walk throughout the center of ancient hamlet lead Laura and her dad to Malcesine Castle where the ceremony was planned. Bridal bouquet was arranged with white hydrangeas, peonies, English roses and touches of summer sage. 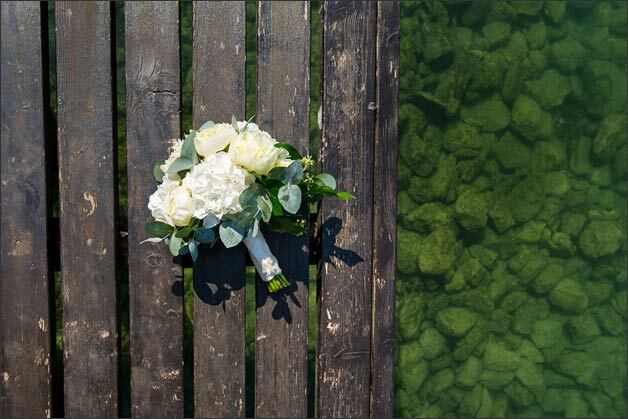 The perfect harmony between flowers and nuances of the lake water made the arrangment particularly refined. The sound of a harp accompanied bride’s grand entrance. Bridesmaids made their entrance before her and the setting of the ceremony was simply breathtaking. The terrace of Malcesine Castle offrs unique panorama. White flowers hanging from chairs decorated the aisle making the setting even more romantic. 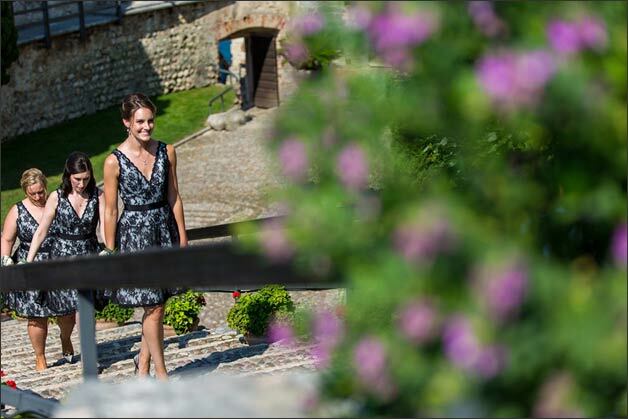 After the ceremony in Malcesine Castle, Christian and Laura planned a little tour of the castle so that they could have a fantastic wedding photos. The romantic kiss on the famous tiny balcony perched over the lake is for sure one of the most romantic and iconic moments of the day. For the dinner with their relatives and friends, Christian and Laura chose a lake front restaurant with a smattering of a modern atmosphere. Floral decorations ran the along the imperial tables, interrupted by high candelsticks. Bunches of white hydrangeas and summer sage alternated with modern lanterns while here and there, lots of tea-lights in tiny glasses give verve to the overall result. 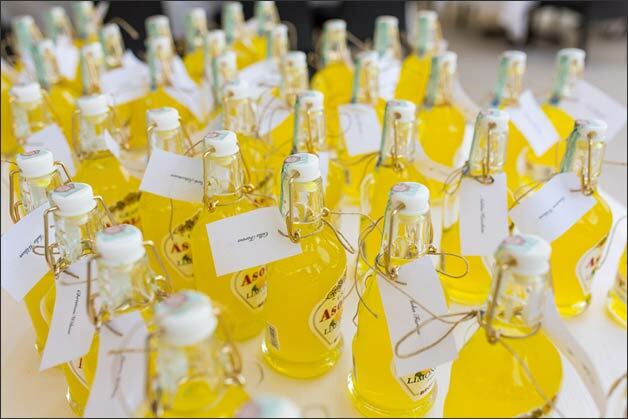 Table chart was made up of lovely bottles of Limoncello del Garda, a delicious traditional lemon-flavoured liqueur of the area. As the matter of fact Christian and Laura wanted to give a little souvenir to all their guests. In front of the restaurant there is a little beach and here we thought to arrange the cutting of the cake, just by the shores. So romantic! Lots of candles in the gloaming, the dark waters of the lake encrusted with twinkly lights: it was really a magic moment! Then it was time for dancing. It was up to Christian and Laura to get the party started! The Dj used different kinds of music in order to meet different tastes and have everybody dance and have fun. A big thank-you to the photographer Chris Thornton and to the videographer Riccardo Lavezzo for their great job! 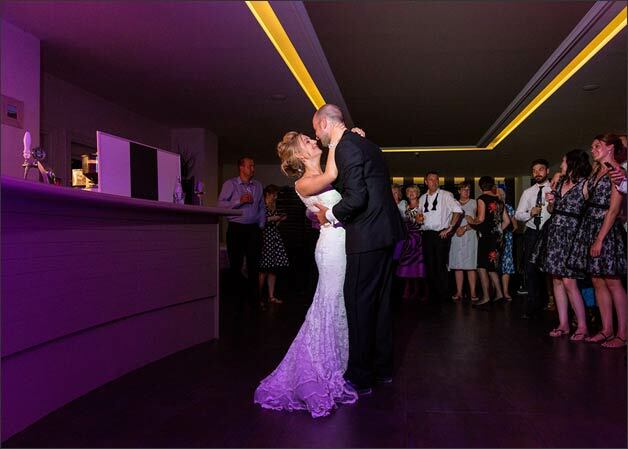 But a very special thanks goes to Christian and Laura for sharing with us their big day on Lake Garda. 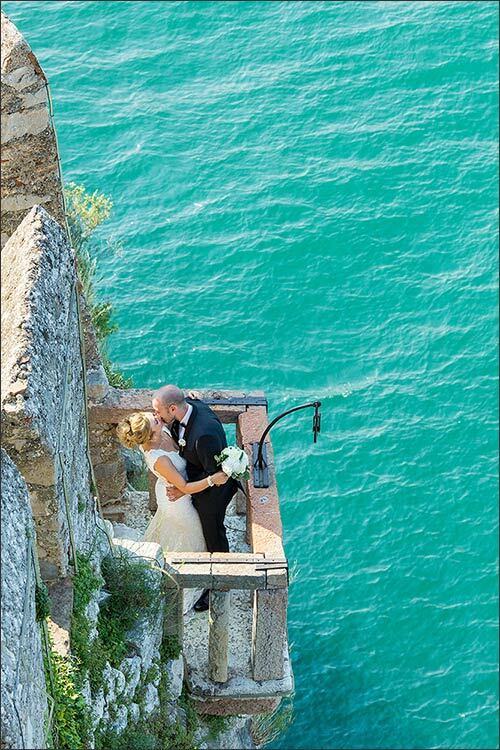 We would be interested in i wedding on Malcesine castle. Could we please get in touch to discuss more details? thank you for your request, I’ll send you all the information for our wedding in Malcesine. Hi there, could you send me some information ‘re wedding in Malcesine, thanks for your help. thank you for your kind request, Malcesine Castle is really a lovely frame for a wedding. We will be in touch by email so I can send you some first information for your special day on Lake Garda. 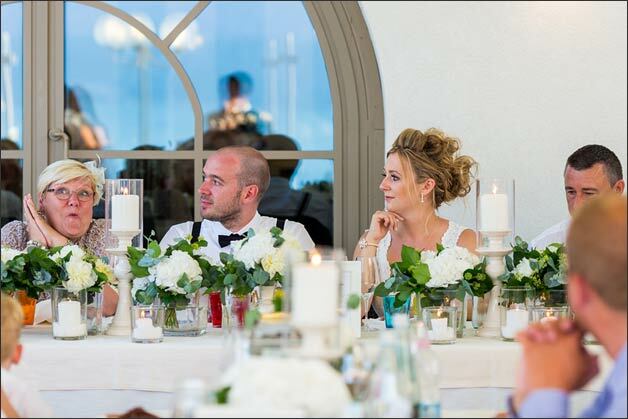 Hi can I please have more info about weddings in Malcesine? yes, I will be more than happy to send you some more information in Malcesine! 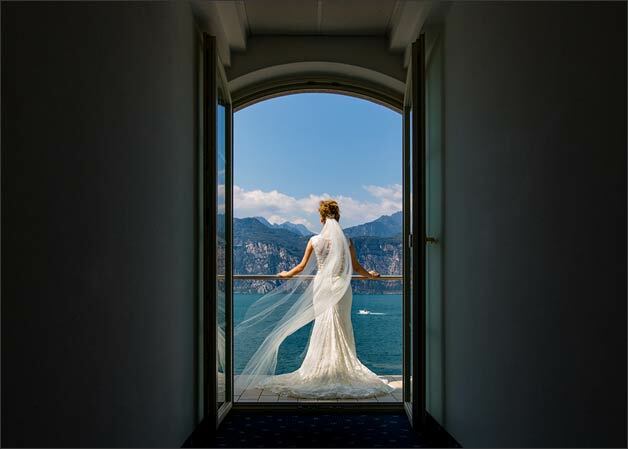 Lake Garda offers several beautiful scenarios for a wedding and I will send you an overview of the most beautiful options. 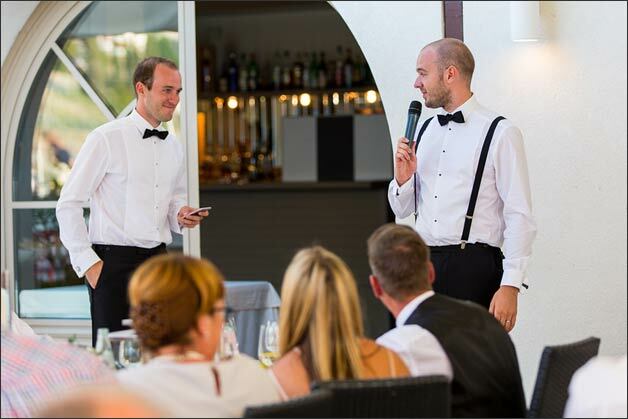 Could you Kindly send me more information on weddings in Malcesine. 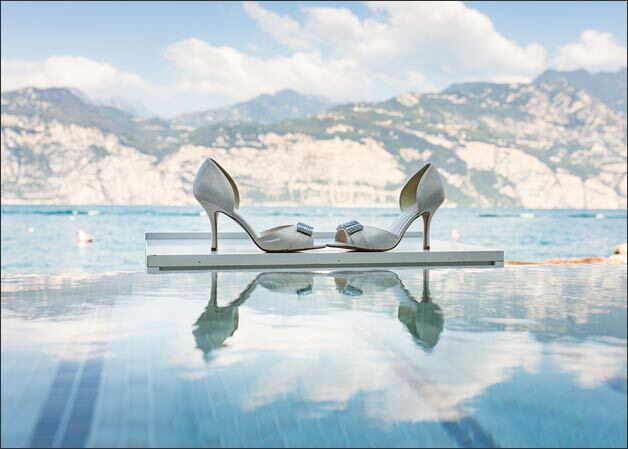 Do you also more information on weddings in Lake Garda in general? thank you so much for your request, Lake Garda is a wonderful scenario for a wedding, I’ll be happy to send you some proposals very soon. 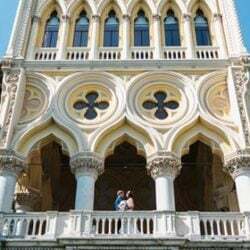 Hi could you please send me information on getting married at malcesine castle. 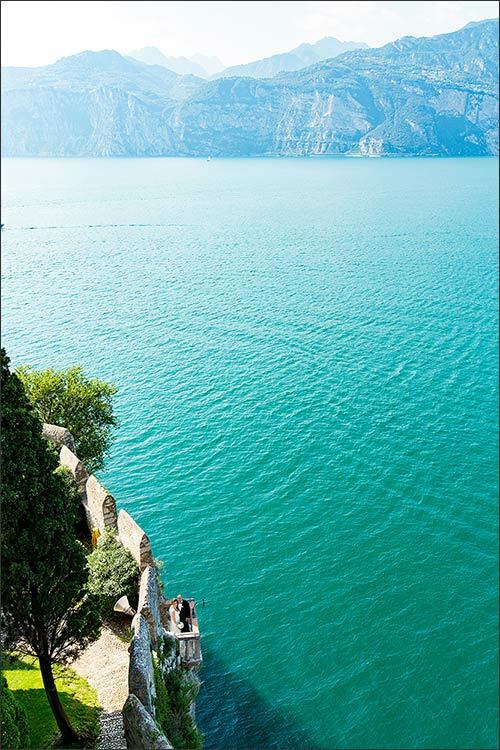 thank you for your kind request, the idea of getting married at Malcesine Castle is absolutely stunning! I’ll send you some first information shortly. Hello, please can you send me some information on getting married at Malcesine Castle ? 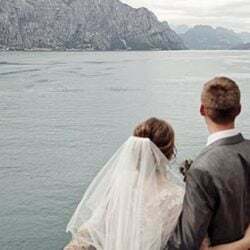 thank you for your request, I’ll be more than happy to send you all the useful information for your wedding in Malcesine and some lovely alternative options on Lake Garda. And venue ideas for where we could hold our wedding breakfast etc. 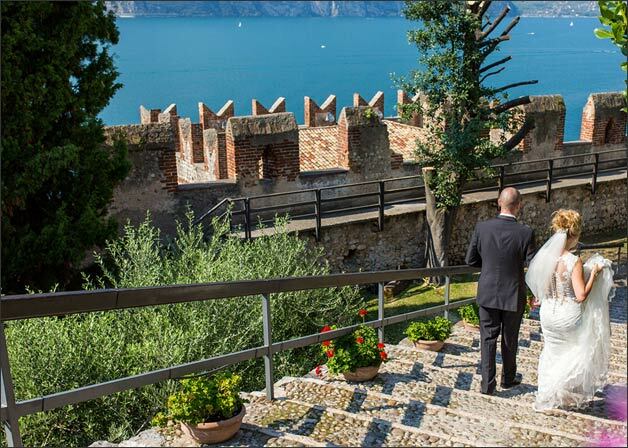 thank you for your kind request, I’ll send you some first information for a wedding at Malcesine Castle. Also I’ll send you some alternative options on Lake Garda so you can compare the different solutions. I have replied to your email for some further information/ costings if you could kindly get back to me please. with regard to your request I sent you an e-mail on 4th January but I didn’t receive your reply, maybe the mail failed. 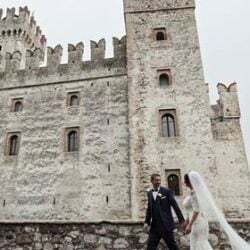 Now I’ll send you an email, please let me know if you receive it and in the worse case you can contact me by mobil phone: 0039 348 3837007.
thank you for your kind request, we will be glad to send you all the useful information for your wedding at Malcesine castle. Also I’ll send you some possible alternative solution so you can compare the different options that lake Garda offers! we are planning a wedding ceremony to be held in Italy. Could you send us some more information about Lake Garda and different scenarios and options. The Malcesine castle looks like a great option! 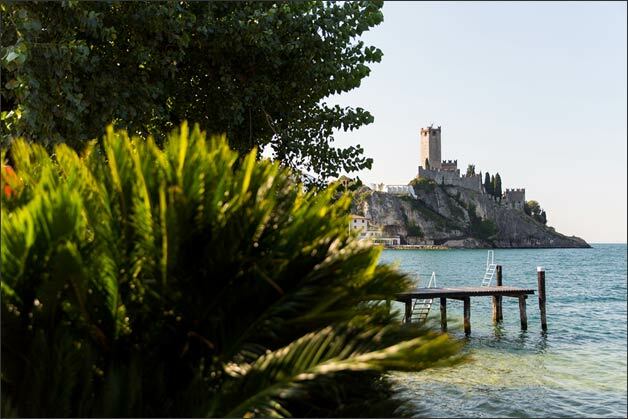 Lake Garda offers several lovely scenarios for a wedding, of course I’ll send you my proposals including Malcesine castle with its charming atmosphere. I’m really interested in Malcesine Castle and would like some info and prices please . Or any others Venues that over look the lake and have that amazing view . Also I’m interested in sarentio again any info on that area – . 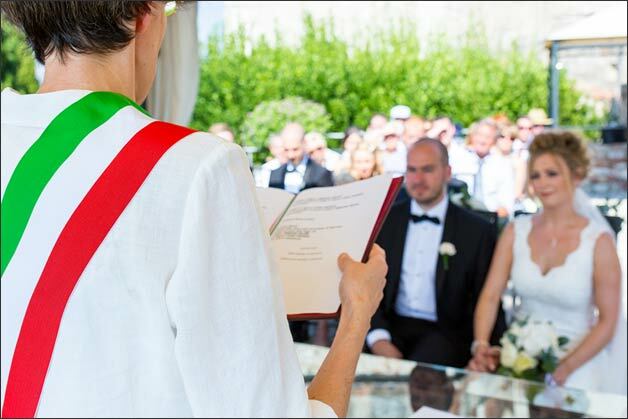 We 100% want to get married in Italy next September , but are open to options And ideas of Venes. 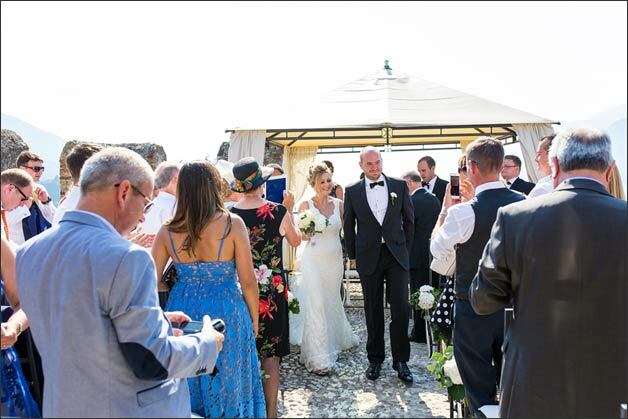 I’ll be more than happy to send you all the information for your wedding in Malcesine and all the other options that Lake Garda offers. Please can you send me and information pack on weddings at this venue. 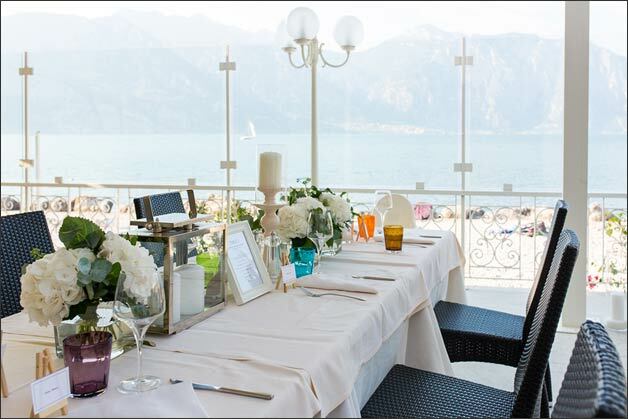 thank you for your request, Lake Garda offers so lovely venues and a beautiful scenario! 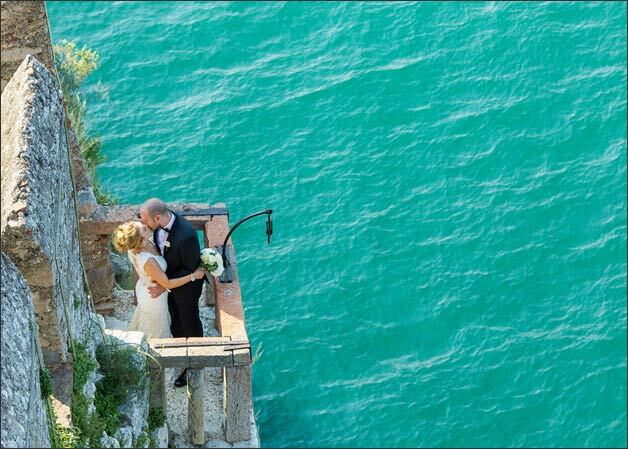 I’ll be happy to send you the information for your wedding at Malcesine Castle.